The plane rose easily from the tarmac ... heading south for a rendezvous with many "old" friends ... mystics, psychics, shamans. Jaycee felt a shiver of excitement as she thought of the adventure ahead of her. She was looking forward to it. of the land will awaken." Jaycee spoke several languages fluently, so an interpreter would not be needed. She could speak directly to the audience. She settled down in her seat and dozed off. One week later, Jaycee boarded the flimsy plane for the next part of her journey. She always envisioned an angel holding the plane aloft. She could see through the spaces in the floor and the angel supporting the plane. 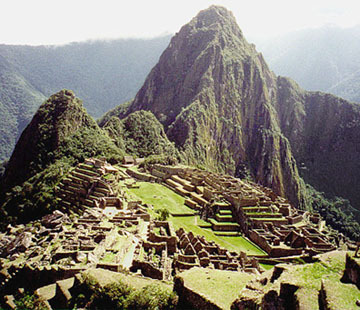 Flying over the Andes to Peru and on to Machu Picchu, she reflected on the gift she had presented at the conference. She had received a standing ovation, a warm feeling of heartfelt welcome. Her medicine friend had been right. They had really bonded at the conference. 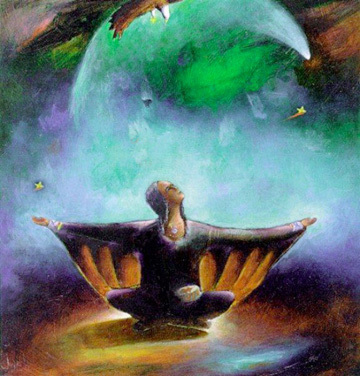 Now, she was on her way to meet a shaman friend, who would accompany her to the Temple of the Condor, where she would meditate and pray on the night of the full moon. 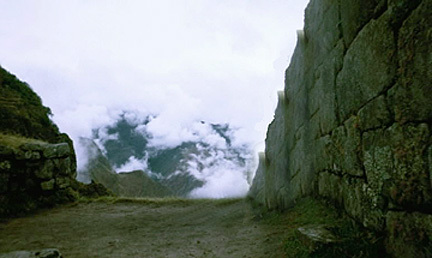 The Temple of the Condor found in the heart of Machu Picchu is reached via a descending spiral passageway. Carved in its granite floor is the head of a condor lying down, with white ruff at the neck. 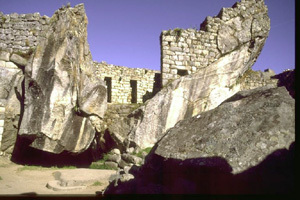 The impressive part is the appearance of the huge stones behind it, natural rocks placed in the configuration of a condor's outstretched wings which house niches and an altar. 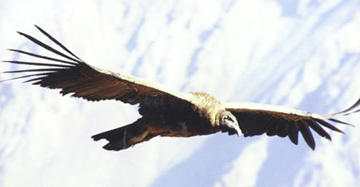 For the Incas, the condor was the symbol of strength. 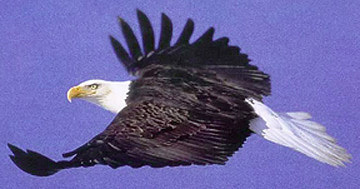 She touched the eagle feather in her pocket, a gift from her medicine friend. She planned to leave it in the temple as a surprise blessing for her friend, a thank you for her help. 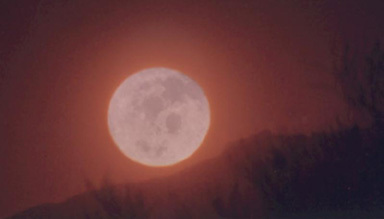 The moon would be full tomorrow night and she would be rested and ready for the journey to the temple, a sacred place few were allowed to visit. 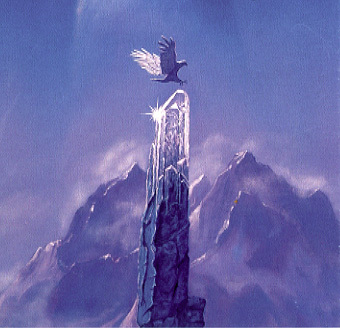 As the plane flew higher, she quietly cleared her mind and let her thoughts anticipate her adventure. 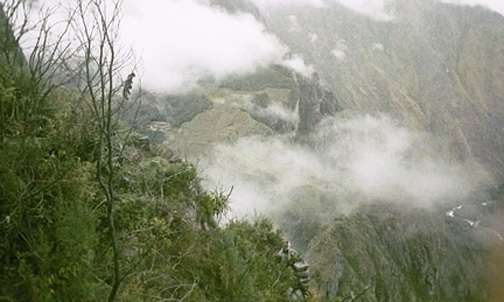 Peru always seemed like coming home. Déjà vu? A deep sense of peace helped her to settle in and she slept, waking when the small plane made a bumpy landing...and she greeted her friends. The next day passed quickly. She was rested and after a light meal, Jaycee took her pack and she and her shaman friend set out for the temple. She touched the necklace she always wore for protection. The sun was setting as they moved along the trail. It was slow going, the trail was steep, so they took frequent stops to keep their energy up. The sun was gone now and the moon would be rising soon. Jaycee lit some sage and sweetgrass as she prayed for a blessing. The night was very still. The moon had risen and the soft light it gave the path to the temple and the mountains, seemed almost surreal. They were chanting prayers now and the shaman was burning copal. The fragrance drifted around them. Inside the temple now, Jaycee knelt at the altar placing the eagle feather and a crystal there. She slipped deeper into meditation. 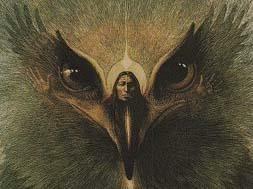 As she came out of the trance she saw the eagle feather and the crystal were gone. Her heart filled with joy as she came out of the temple and joined her friend who was smiling. He asked, "Did you have a visitor?" They thanked Spirit as they started down the trail again. Jaycee knew her journey was done. Tears filled her eyes, her heart was filled with gratitude.